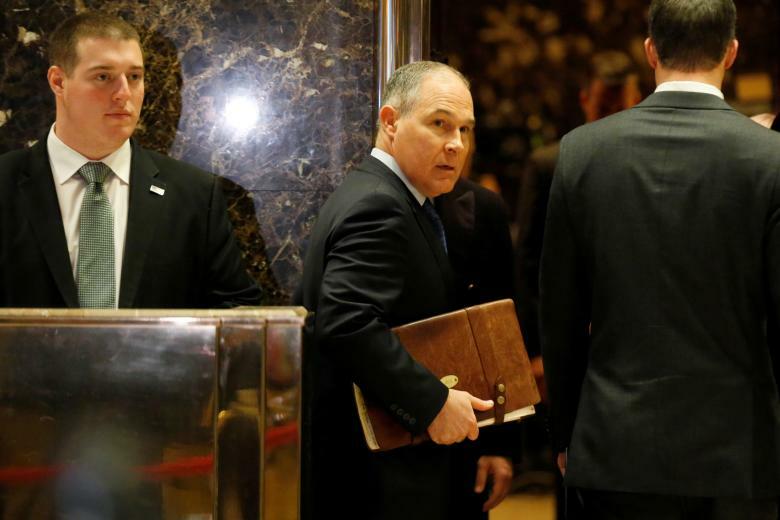 President-elect Donald Trump will nominate Oklahoma Attorney General Scott Pruitt, a critic of federal environmental regulation, to lead the Environmental Protection Agency, his transition team said on Thursday. The choice, which enraged environmental activists and cheered the oil industry, signals that the Republican president-elect plans to move ahead with his promise to cut back regulation and free up drilling and coal mining, in a likely reversal of Democratic President Barack Obama’s environmental agenda. “For too long, the Environmental Protection Agency has spent taxpayer dollars on an out-of-control anti-energy agenda that has destroyed millions of jobs, while also undermining our incredible farmers and many other businesses and industries at every turn,” Trump was quoted as saying in a statement from the transition team. Pruitt has been a harsh opponent of Obama’s measures to curb climate change and has helped lead a legal effort by some states to throw out an integral piece of Obama’s climate change strategy that requires states to curb carbon output. Since becoming the top prosecutor for the oil- and gas-producing state in 2011, Pruitt, 48, has launched multiple lawsuits against regulations put forward by the agency he is now poised to lead, suing to block federal measures to reduce smog and curb toxic emissions from power plants. “The American people are tired of seeing billions of dollars drained from our economy due to unnecessary EPA regulations, and I intend to run this agency in a way that fosters both responsible protection of the environment and freedom for American businesses,” Pruitt was quoted as saying. The transition team statement called Pruitt “a national leader against the EPA’s job-killing war on coal” who will help implement Trump’s energy plan. Doesn’t matter what he does, those coal mining jobs are NOT coming back, unless the EPA pays mine owners a bonus for mining. Natural gas is too cheap. Frakking has destroyed the coal mining industry, not the EPA.